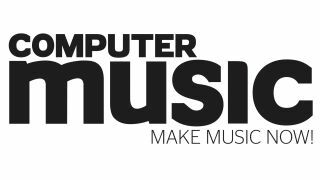 PRODUCTION EXPO 2014: Computer Music is the world's best-selling magazine dedicated solely to making music with your Mac or PC. Every month CM brings you the best in tutorials, reviews, news and features, and no matter whether you're a complete newcomer to computer-based music production or a seasoned pro, there's plenty for you in every issue. When you buy Computer Music, you get access to our exclusive range of over 30 instrument and effects plugins. You can't get this collection anywhere else, and it contains plugins made just for CM by big names like Vengeance-Sound, u-he, LinPlug, Sugar Bytes, Camel Audio, and many more. Best of all, there's a new plugin with practically every issue! You also get hundreds of audio samples, expert videos for every tutorial to show you exactly how it's done, support files for the tutorials in the mag, and more, available via download or included on the DVD that comes with the print edition. If you want to learn how to make music with your computer, Computer Music magazine is an essential resource to help you do so - it's the ultimate resource for every computer musician, and it's available on your PC, Mac, iPad/iPhone, Android, or in good old print. Find out how to get the latest issue. Want something more focused and in-depth? Our bi-monthly Computer Music Specials are for you, with each instalment dedicated to a single topic - by the time you're done with our easy-to-follow tutorials, you'll be the expert! Get CM Specials on Apple Newsstand, Zinio, Google Play and in print. For the ultimate reference tome, turn to our Ultimate Guide series. These incredible compendiums compile the best articles from Computer Music and CM Specials to create heavyweight 'bibles' on core subjects that you'll keep by your side for years to come. Find the Ultimate Guides on our Apple Newsstand app and in print at MyFavouriteMagazines. Follow Computer Music on Facebook and Twitter for reader polls, plugin news, user reviews, mag updates, and much more!